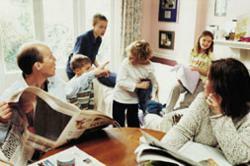 Murray Test Prep offers personalized, in-home tutoring for the busy family at budget-friendly rates. What sets us apart from our competitors is that we understand that tutoring has to be conformed to the lifestyle of the client, which does not always function around the business hours of learning centers. Murray Test Prep is a personalized tutoring service that offers the option of in-home sessions, providing a convenience to parents who oftentimes have to transport their children to and from learning centers. We provide top tier lessons in both individualized courses as well as standardized exams at a reasonable cost. We specialize in science, math and writing for students from grades Kindergarten through college, and even up to the graduate level.